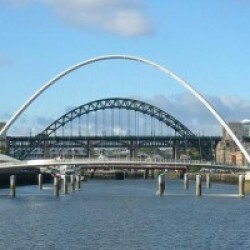 Whether you live in Newcastle and are looking for coach hire to anywhere else in the UK or you are organising a group trip to this exciting city, National Coach Hire can offer a relaxing, inexpensive and flexible service. These days there are many reasons why you might be heading to Newcastle. It could be to watch the football at St James’s Park and to support one of the country’s most exciting, (and long suffering) football teams, or perhaps you’re heading there for the incredible shopping, some of the best available in the North of England. Perhaps it’s nightlife you’re after, hoping to enjoy the music and club-scene that has led to Newcastle’s reputation as a city with passion – fun-loving and the best night-spot in Britain. (So much so, that The Rough Guide recently listed Newcastle’s nightlife as the top attraction when visiting Great Britain). 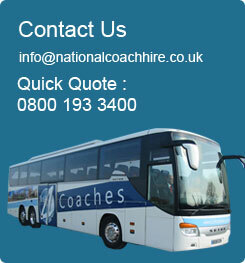 Whatever your reasons for traveling to or from Newcastle, if there’s a large group of you, why not let National Coach Hire help organize your trip. Whether it is to transport you and your party around the incredible city centre, by day or night, or to check out the Tyne Bridges or indeed the Angel of the North, you will quickly realize that Newcastle and it’s surrounding areas are now one of Britain’s finest areas, long since moved on from its steel and coal roots, now a centre of fine dining, fine and modern art, and a local population whose character and humour is almost the most famous attraction. From the artwork at the stunning Baltic centre and the Biscuit Factory to the Discovery Museum and the Castle Garth Keep, from Bessie Surtee’s House to the Seven Stories, Newcastle is a fascinating mix of the industrial and the hip. Whether you’re there for the football, or the nightlife, or using it as a stopover to explore the nearby countryside, coach hire is the best way to see the area. Indeed if you’re using Newcastle as a base to see the surrounding countryside, then let us take care of the stress whilst you sit back and enjoy the view of the stunning Northumbrian scenery. From the beautiful city of Durham, and the incredible castle and cathedral, to the world famous Roman remains of Hadrian’s Wall, to the wide open expanses of wilderness in Northumberland National Park; coach hire is the only way to appreciate the majesty of the area. From the castles at Bamburgh, Warkworth and Alnwick, to the historic site of the ruined priory and castle on Lindisfarne, National Coach Hire can take you wherever you wish to go, quickly, economically and in the most relaxed way possible.